Have you read the Dr. Suess book Green Eggs and Ham? It talks about trying something that you thought you hated but hadn’t really ever tried before. As it turns out, you might like it! That’s how it was for me and Greek gyro sandwiches. We tried them a few years ago and have since tried several versions at restaurants across Northwest Arkansas. 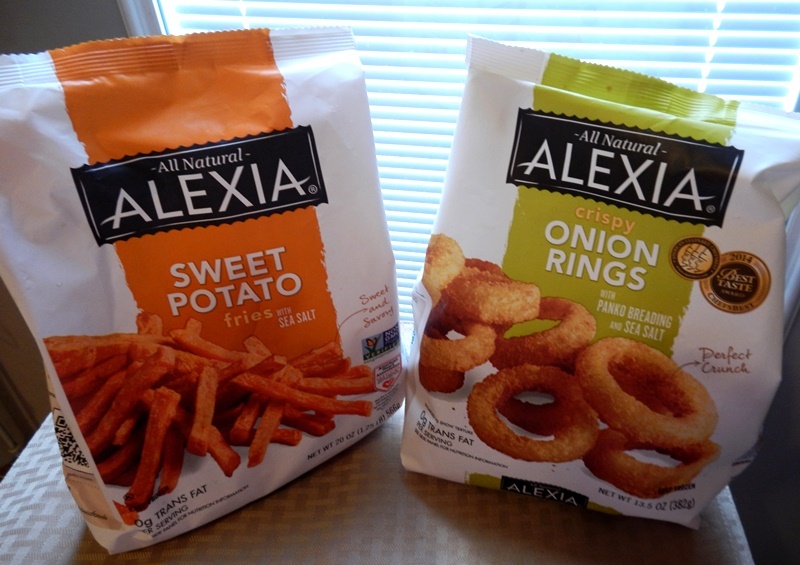 This weekend, we decided to try making our own with natural ingredients such as Alexia onion rings. As it turned out, I had such a pile of ingredients that mine didn’t fold well. No worries! This dish is delicious as an open-faced Greek gyro or if you don’t want the carbs in the flatbread you can increase the veggies (especially the spring mix) and turn it into a Greek-style salad. No matter how you eat it, hot. diggity. dog. This dish is healthy and delicious! I first set out to find the traditional Greek lamb/beef mixture but realized that chicken would be so much more practical and just as yummy! You can also grill the chicken tenders after they finish marinading. 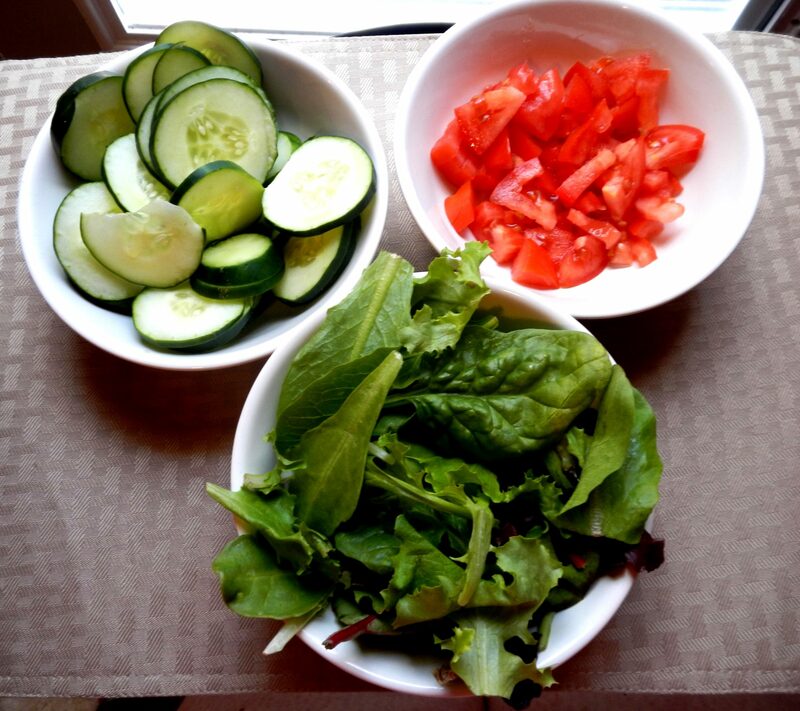 Love all the fresh veggies in this recipe. Alexia has a great assortment of healthier, natural potato products. 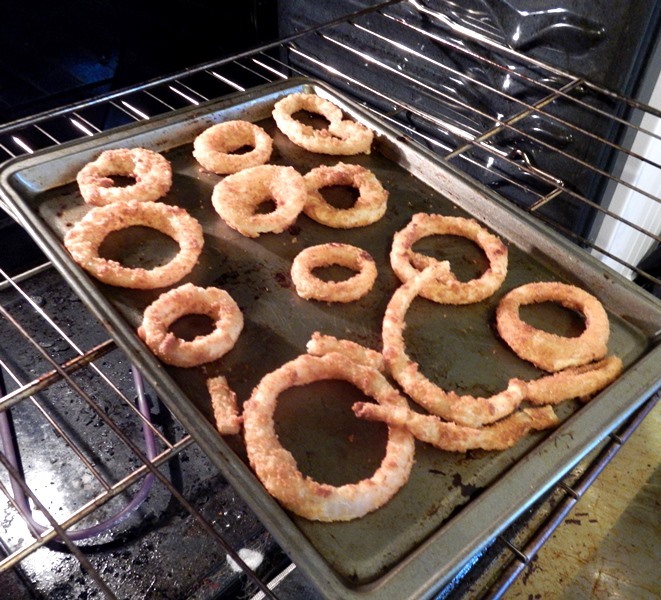 For this recipe, I used the Alexia onion rings. You can also use the new Alexia Rosemary Fries but if you do that, you will need to add some chopped red onion. By the way, I plan to make a yummy dessert with dark chocolate drizzled over those sweet potato fries! You can learn more about Alexia products on their Facebook page. I recommend only baking enough Alexia onion rings for each person to have 2-3 rings (unless you’re also having onion rings as a side dish). This way, you don’t have to reheat them later. They are amazing when fresh! The broken ones work just fine in a sandwich or you can just eat them! Place the Cavender’s seasoning, Greek yogurt and the chicken tenders in a Ziploc bag and moosh it all together until the chicken is well-covered. Let it marinade at least an hour up to overnight. 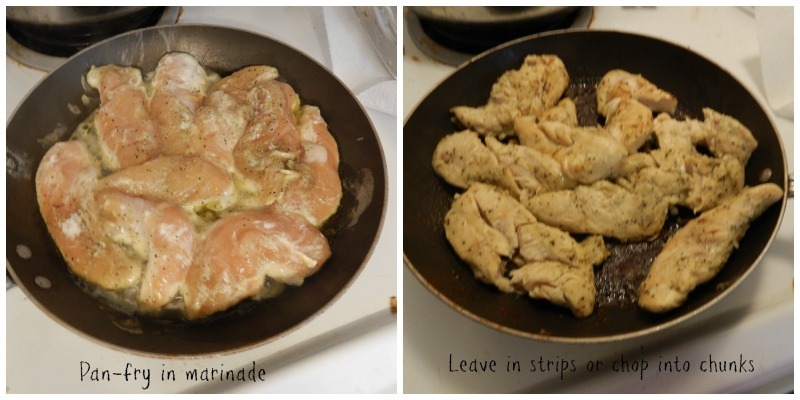 Carefully remove the marinaded chicken tenders from the bag and place in a skillet with hot EVOO. Cook the chicken on medium heat until done (about 165 degrees). While you’re cooking the chicken, preheat the oven to 400 degrees as instructed on the Alexia onion rings package. Cook the onion rings according to package instructions. I recommend the oven version for added crispness and less grease. Lay out the flatbread on a plate and spread a thin layer of the Tzazitki sauce leaving a bit of empty space on the edges. 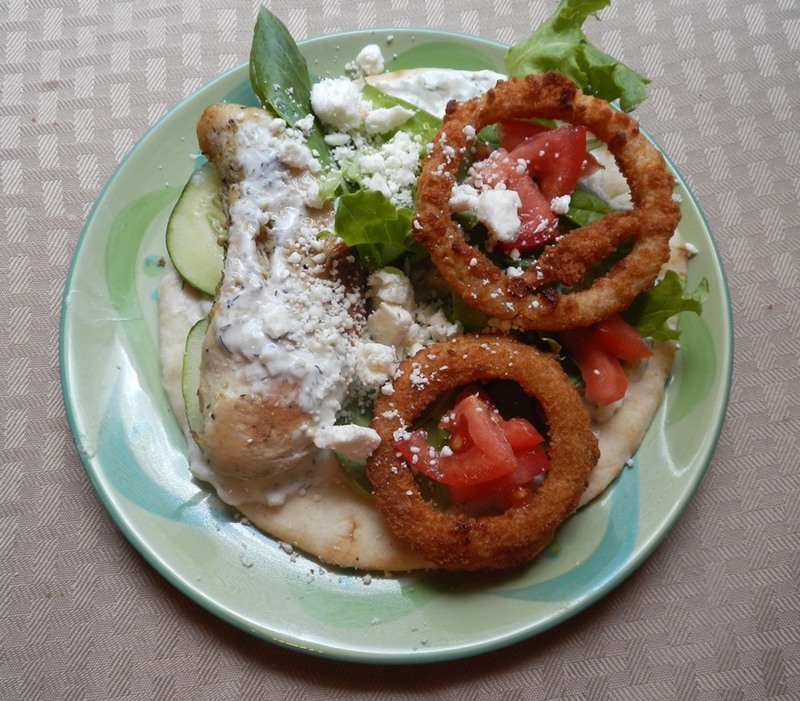 Build your open-faced gyro by adding the chicken then the veggies cucumber, tomato, spring mix) and feta cheese to taste. Add 1-3 Alexia onion rings. If you want to fold it into a traditional gyro, heat the flatbread in the microwave for about 15 seconds first and be careful to not over stuff the sandwich so it folds easier. 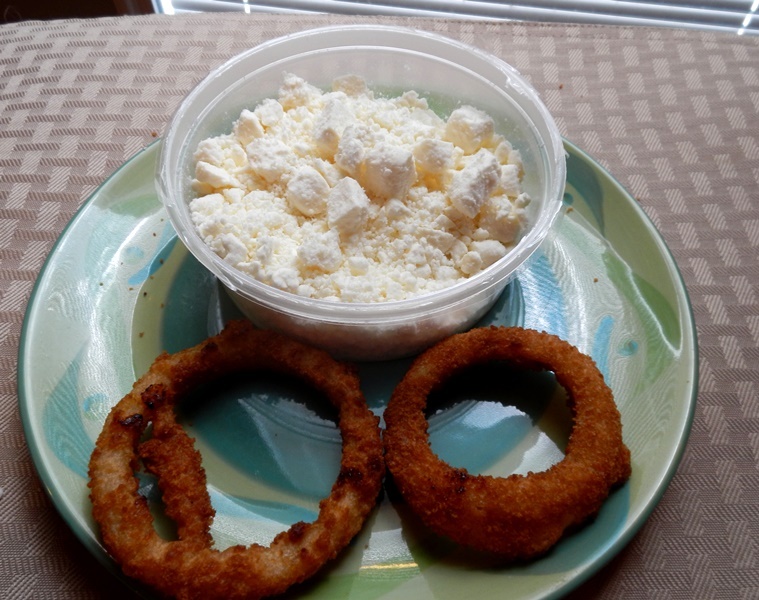 Feta cheese and Alexia onion rings really sets this recipe off. Ready to make this recipe? I always like to give a little guidance on where to find the ingredients, especially if it’s something you might not normally purchase. The veggies are in the produce section, usually at the front of the store. This is the same place as the cucumber dill dip if you don’t want to make your own sauce. The Greek yogurt is with the rest of the yogurt in the dairy section (really need to make sure you get plain!). The feta cheese is either in the cheese section or the deli section (usually in a gourmet cold-food island). The chicken is in well, the chicken section (usually on the outer edges of Walmart). I really look for the tenders so I don’t have to slice and pound my own chicken breasts. 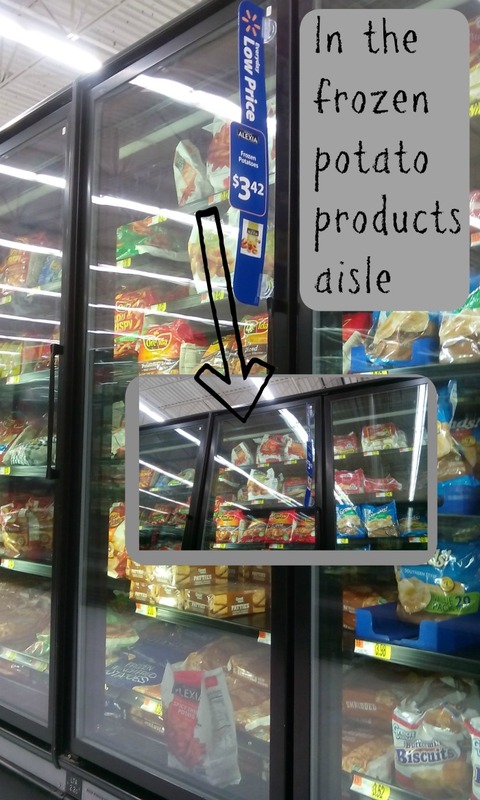 The Alexia products are in the frozen potato or vegetable section. Are you ready to try it? By the way, you can find other great recipes made with Alexia products on their Pinterest page. 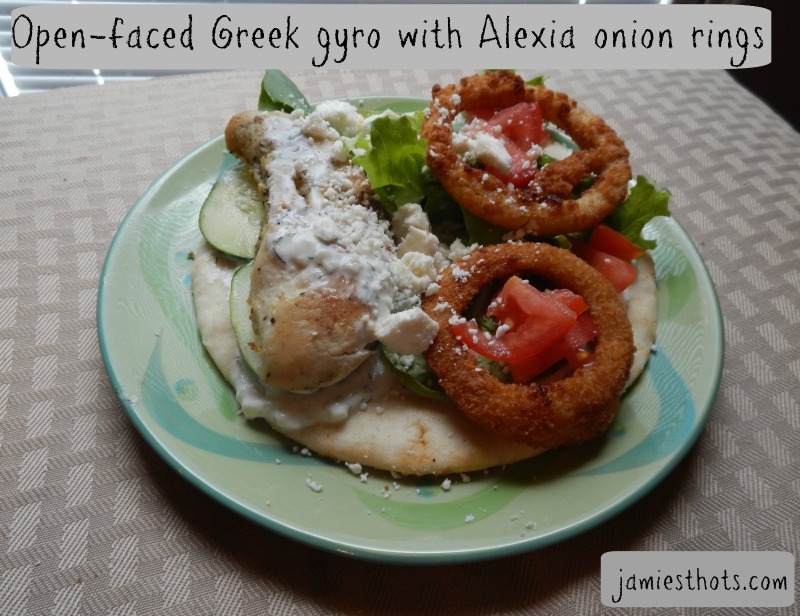 I love Greek Pitas and Alexia products! Great post! I found you on ARWB Facebook today!